This Question/Answer session with our Rector, Jim Clark, and Senior Warden, David Getts, provides clarity about our needs in 2017 and how we can all be part of strengthening our future. 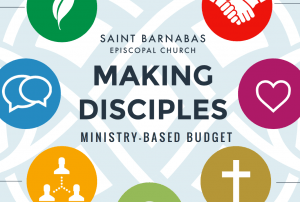 Our Ministry-based Budget is discussed at this forum. *Please forgive the slight blurriness at the beginning of the video. It corrects itself after a few minutes, but does not impede the sound or slides.